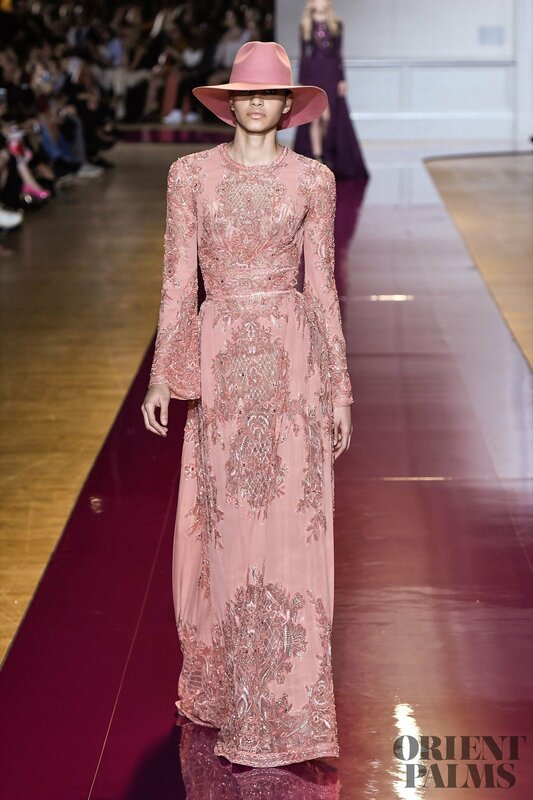 Pink color reads Spring, that’s why designers love to use it to soften this harsh Winter season. 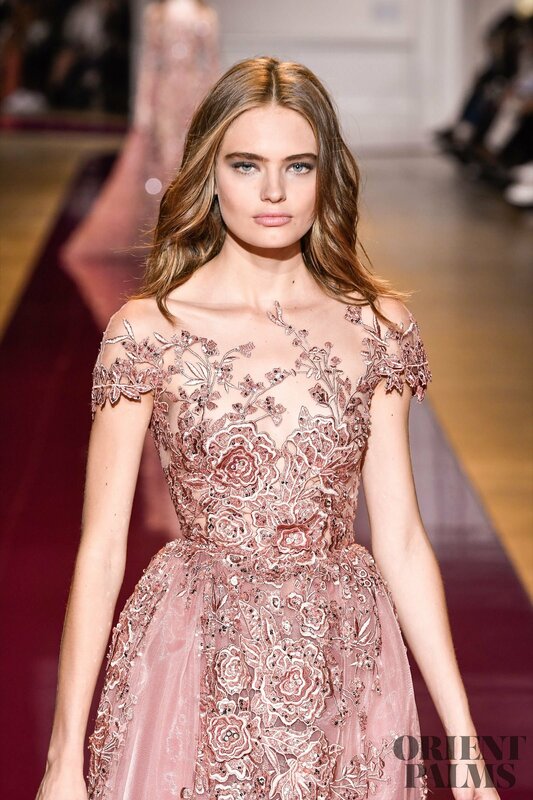 Rose blush, Rosewood or pink bubble, it is simply sweet, romantic, and flirty. 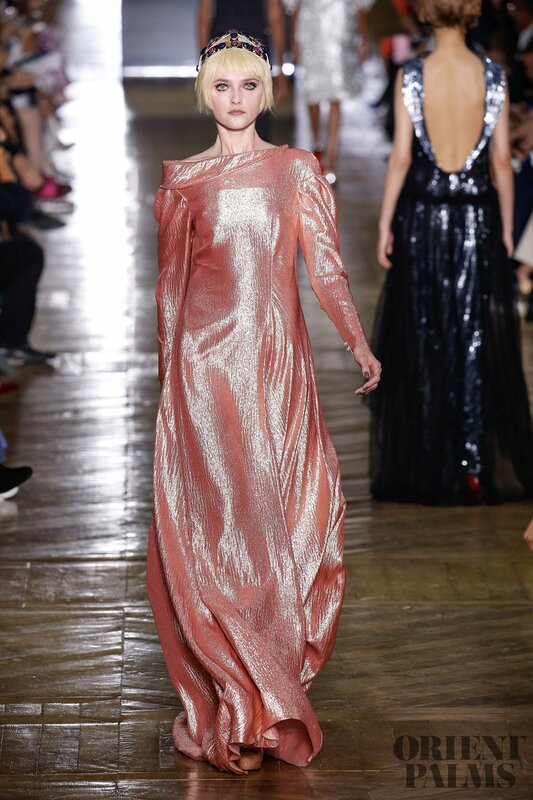 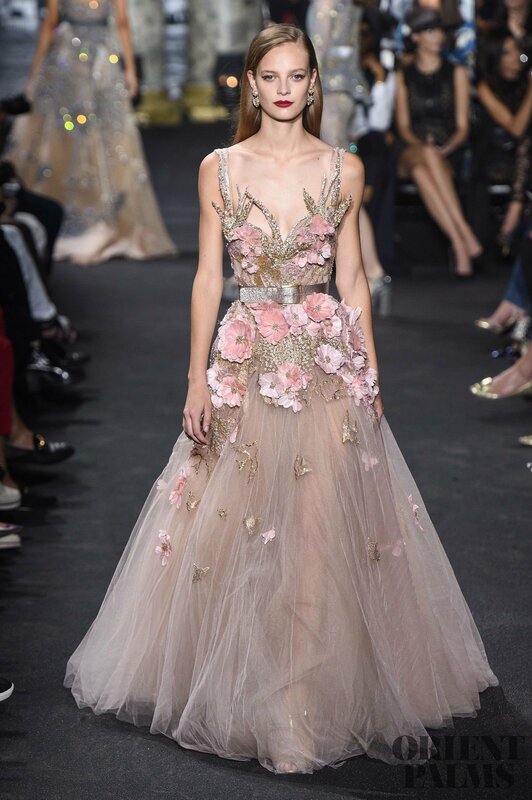 It gets even softer when combined with gold like Elie Saab, Ralph & Russo and Saiid Kobeisy’s gowns. 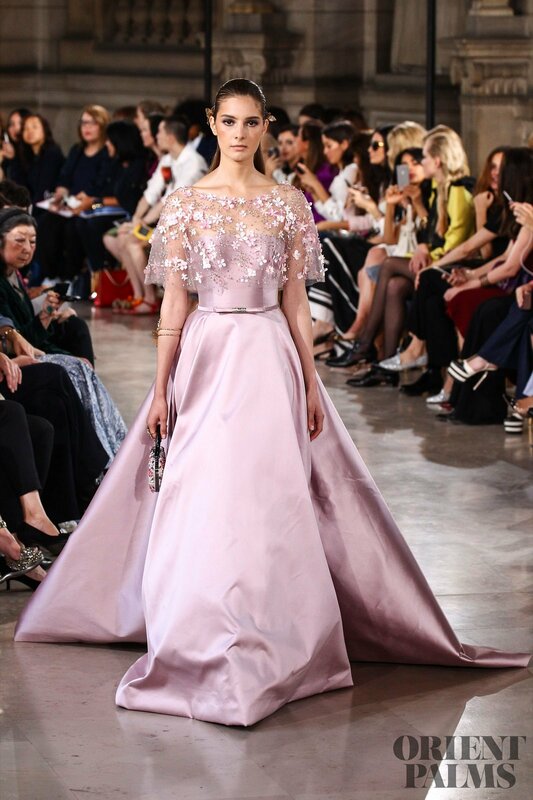 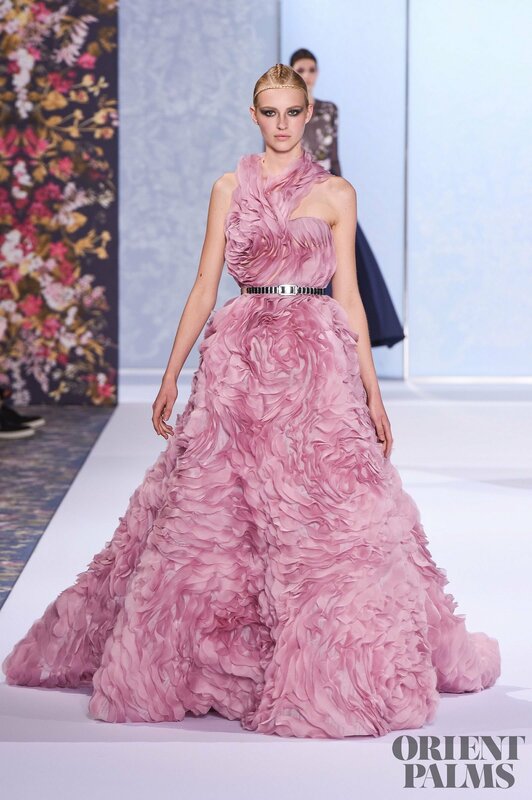 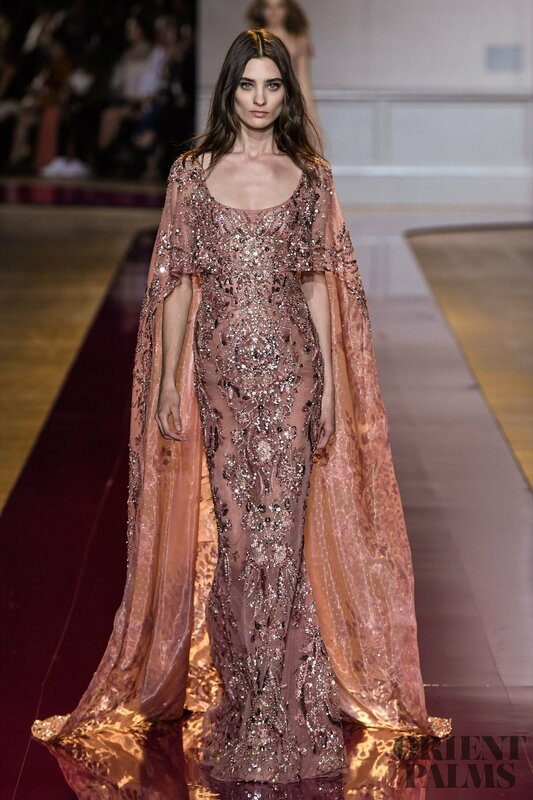 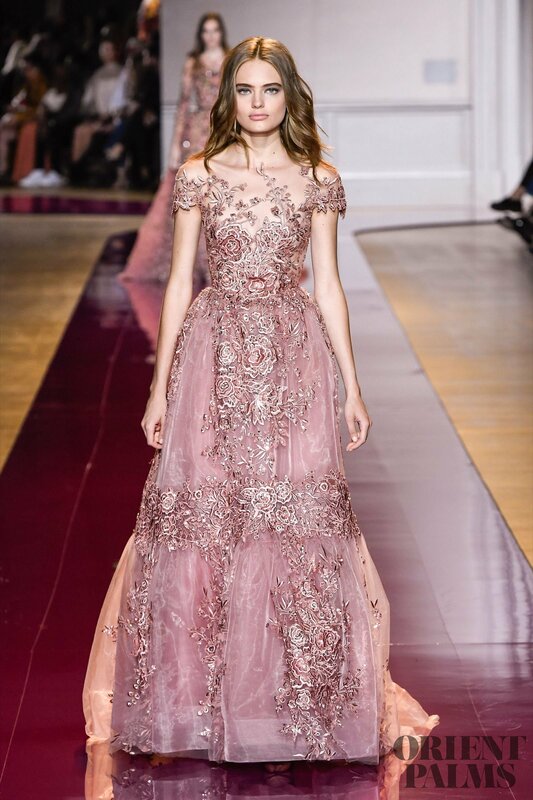 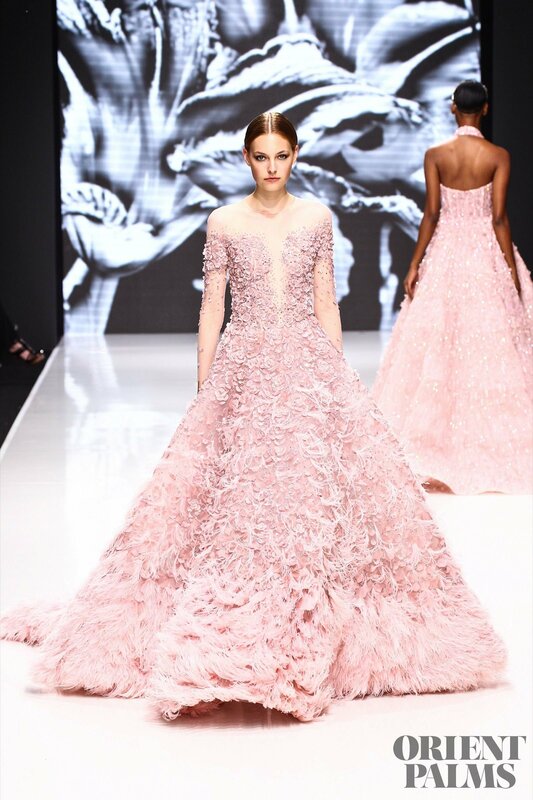 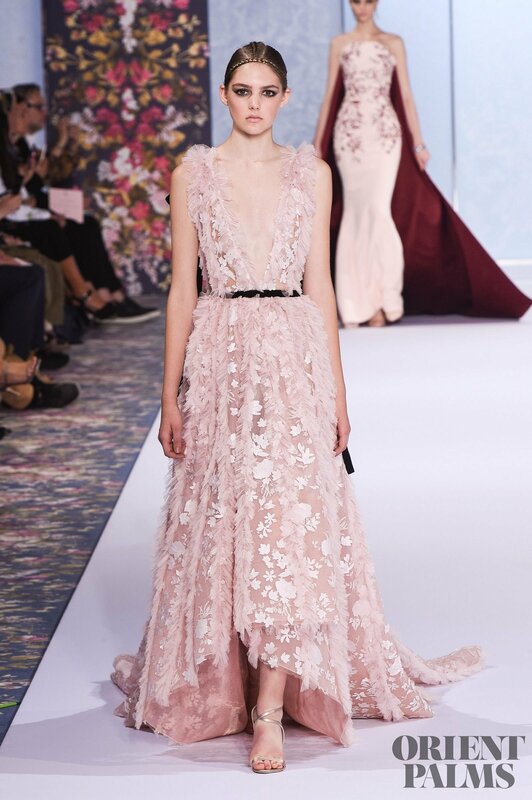 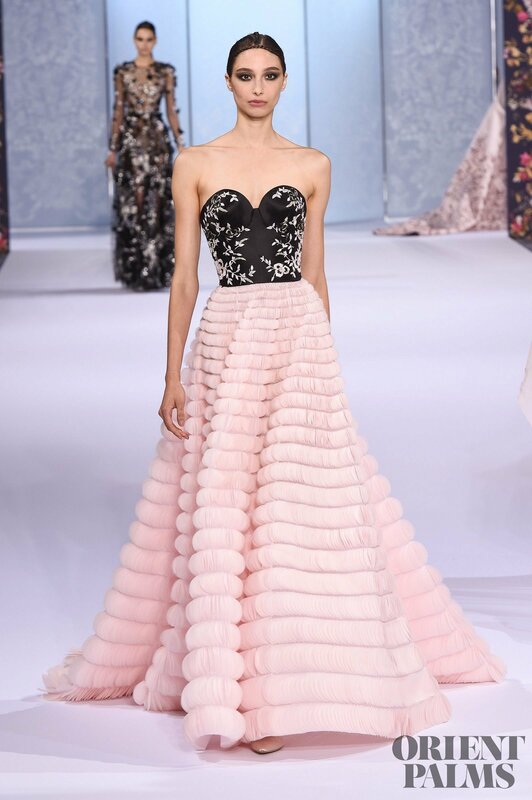 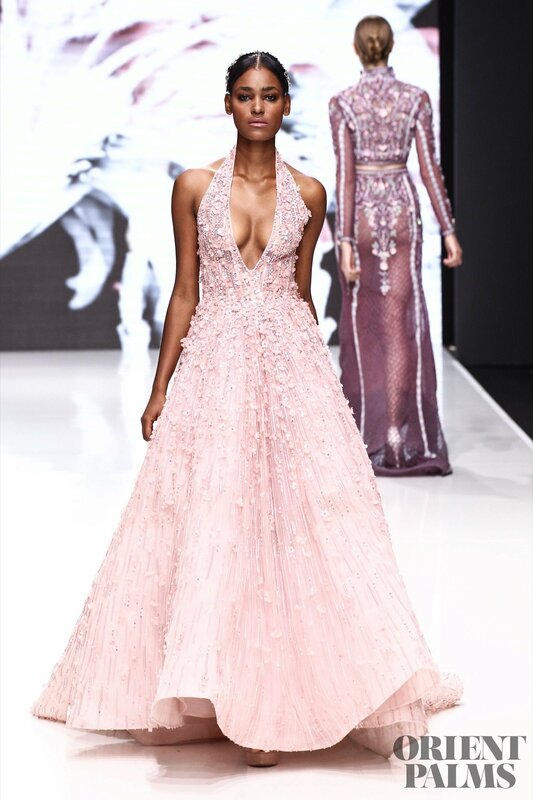 It reminds of a Winter garden at Zuhair Murad, with the Rosewood pink gown all embroidered in flowers. 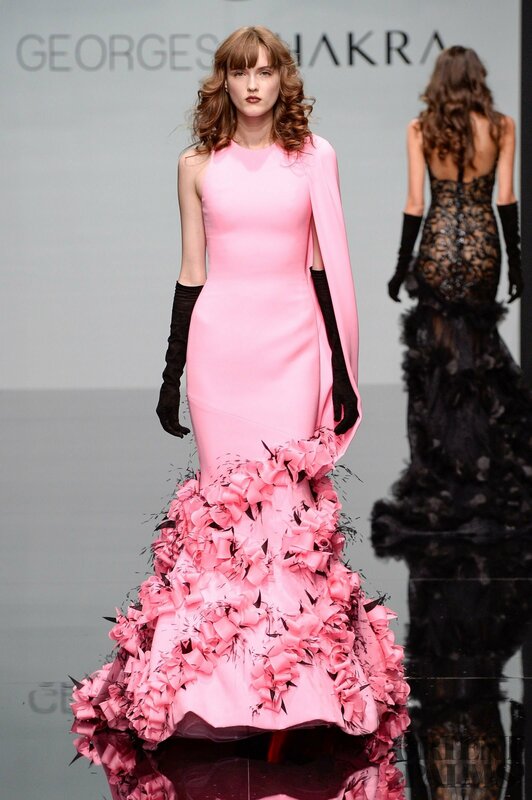 And when paired with black, it is elegantly well underlined and sophisticated like at Georges Chakra, Ralph & Russo, Giambattista Valli and Versace.